Purchasing a car can be a very intimidating and overwhelming experience. In addition to the initial purchase price, there are many other factors that need to be taken into consideration before making that purchase. These tips will help guide you through the process to make an informed decision. 1. Pick a vehicle that fits your needs and budget. Do some background research on the car you are interested in buying. Read online reviews from reputable sources. What do the sources say about the vehicle’s reliability? Does it require expensive maintenance and servicing? How is the fuel economy? Does it require premium fuel? Does it have a strong resale value? How long is the warranty coverage? How much does insurance cost? 2. 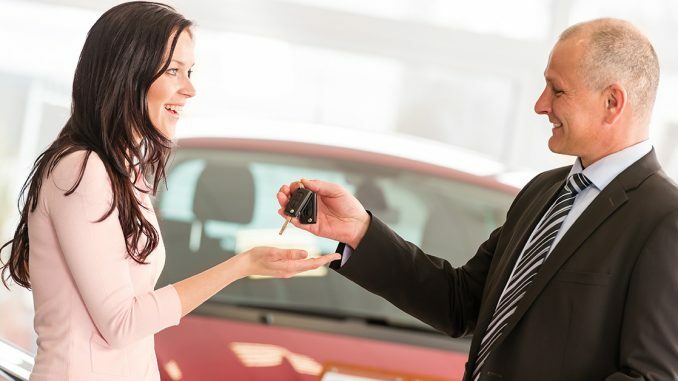 Consider the benefits of a licensed dealership. Dealerships are regulated in many provinces, which means that consumers are offered certain protections and rights when purchasing a car. For example, in Ontario, dealerships must disclose whether a vehicle was used as a rental or has a salvage title. They must also advertise all-in pricing, with no additional fees on top of the advertised price. It is important to understand your rights. Private sales do not offer consumer protection which means that there is a higher level of risk involved. If you choose to buy from a dealership, do some research and check its reputation. 3. Take a thorough test drive. Sit inside the vehicle and get a feel for how comfortable it is. Is the seating position comfortable? Is the outward visibility good? Do the controls work properly and are easy to operate? Don’t just drive it around the block. Take it for a long drive including some time on the highway. If possible, bring a knowledgeable friend to check out the vehicle and come along for the test drive. They may catch something that you missed. If the vehicle is used, make sure to ask whether it has been involved in an accident. Ask for a copy of the Carproof or Carfax report to verify this information. Check for any liens on the vehicle and ask for the used vehicle information package (UVIP). Make sure you have a mechanic perform a pre-purchase inspection. An inspection may reveal hidden problems that tell you to either walk away or negotiate a lower price to account for repair costs. If you don’t have a mechanic, ask a friend or a reputable source for a recommendation. 5. Pay the right price. Make sure that you can afford the vehicle you are about to purchase. How much will maintenance and repairs cost? Insurance? Fuel? What are the financing and interest rate options provided by the dealership? Remember to focus on the total purchase price of the car instead of the monthly payment. Car Help Canada offers personalized counselling and can help find a lower price if you don’t feel comfortable negotiating. 6. Don’t sign the contract until you are 100% sure. Once you sign the contract, the vehicle is yours. There is no cooling off period or return period. If you want sale conditions, they need to be in writing in the contract. Buying a vehicle requires a great deal of time and research. Following these steps will help you make the right decisions and find the right car for you.